Traditional or standard web hosting ususally works with one data center, serving all the visitors, thus rquests from that one source. This means, that no matter where you are, you are getting the data from that data center, so if you’re far, you will experience slowness thus the user experience is somewhat worse. Web hosting has improved a lot in recent years, technically and conceptionally. 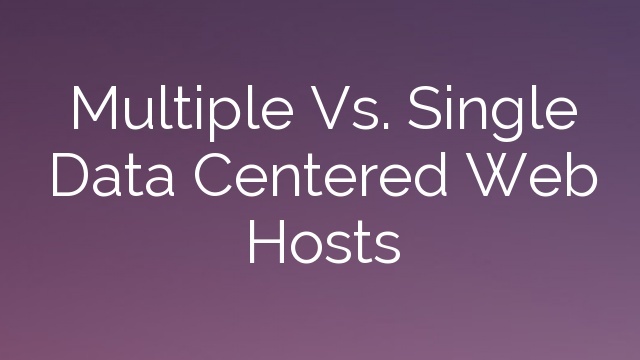 For the usage of several data centers, both improvements were necesarry, but at the core, using multiple data centers is a very simple thought yet it is very effective in bettering website speed. Although it is not yet a very common technique in the web hosting industry to use several data centers, some use it, as long as I can see, those are gaining an advantage on the market, simply because all aspect of the hosting serice becomes better, and customers love that. I read an article the other day, and that got me thinking. That host is really on top, and what is the main difference between this and other on the market? Of course the people who manage it, but in the service I saw that they offer a so called Max Speed Zone, which is about using multiple data centers. They use other techniues too (like peering), but this is a key movement. So, what can we and hosts learn from this experience? Well, those who use this technique, are gaining significant advantage over others, so it would be beneficial to companies to try and develop their systems in ways that they can keep up with the market leaders, and not just provide a standard service and try to maximize profits, because this passive behaviour will hit back somewhere along the line.